This is my current wishlist of quirky Japanese products that I would like to own. So I cannot afford a full-sized, fully functional Asimo at the moment, but I could buy this 1/8 scale action figure. Honda’s ASIMO has almost become a trade of Japan. 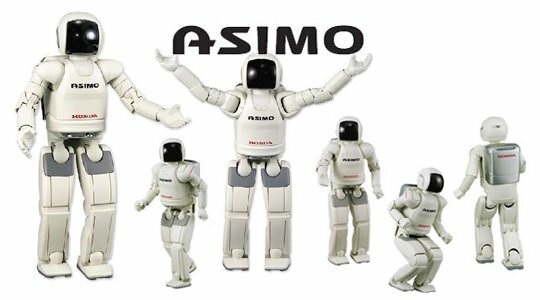 Cute, lovable and helpful ASIMO is definitely on my list. I’m still struggling to master the art of using chopsticks without looking clumsy or rude but that doesn’t stop me from wanting these super cool looking Samurai chopsticks. 3 The Homestar Aqua Sky Tree. 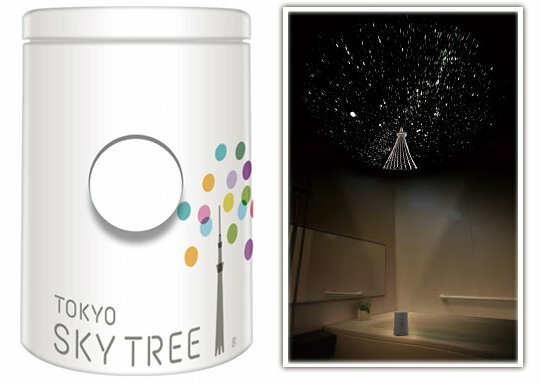 You may have seen home planetariums before, this one is a little bit different, this one is a special edition not only does it project the stars and constellations but it also projects the Tokyo Sky Tree as well so you can lay back and feel as though you were in Japan, no matter where you are in the world. It is even waterproof so you can have it in your bathroom. 2 Traditional Print iPhone Case 3GS. Yes I still haven’t got around to buying the iPhone 4 yet I’m still in love with my 3GS the only thing missing from it is this traditional Japanese print case. This one is definitely the Japanese product I will be buying. Some people call him annoying but he is supposed to be. Clockman wakes you up in the morning by shouting at you in Japanese. He will not shut up until you tip him over. The different each colour of Clockman has a different personality. Posted by theloveofjapan on July 14, 2011 in Entertainment, Fun, iPhone, Photos, Shopping, Tec, Videos and tagged alarm clock, ASIMO, chopsticks, clockman, planatarium, postaweek2011, shopping, sky tree, wishlist. D: Sky Tree, no thank you! I’d get the planetarium if it were Tokyo Tower 😀 hahaha.